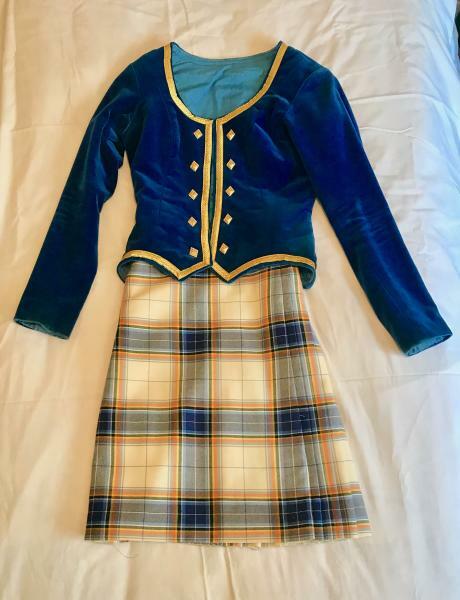 dance.net - Antarctic Kilt, Matching Jacket, Many Accessories (for girl or boy) (10249506) - Read article: Ballet, Jazz, Modern, Hip Hop, Tap, Irish, Disco, Twirling, Cheer: Photos, Chat, Games, Jobs, Events! 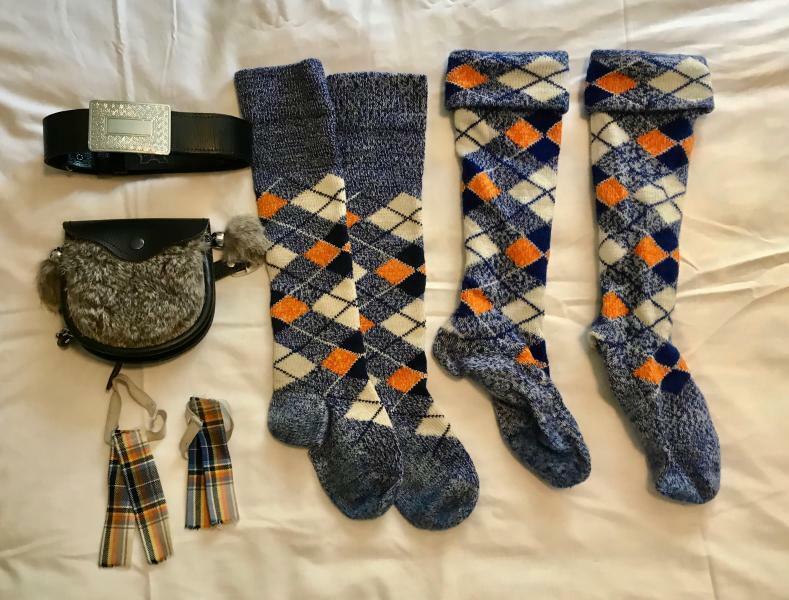 Kilt, jacket, two pair of hand-knit hose from Bonnie Toes, hose repair kit (not shown), belt, flashings, sporran. Would prefer to sell everything together in one lot. Great set for brother/sister siblings. 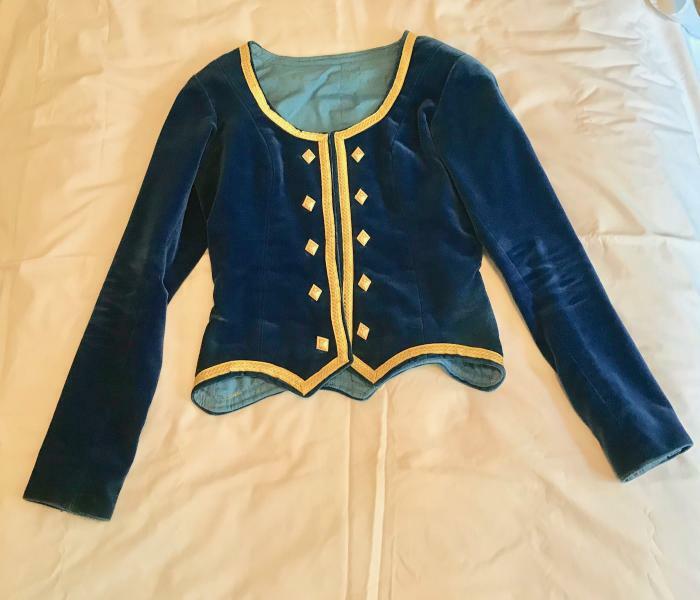 My daughter wore this at age 12 and her brother later wore it at age 10. Lined at the waist. This is a heavy, high-quality kilt. No holes in either pair, but comes with a color-matched repair kit from Bonnie Toes just in case. 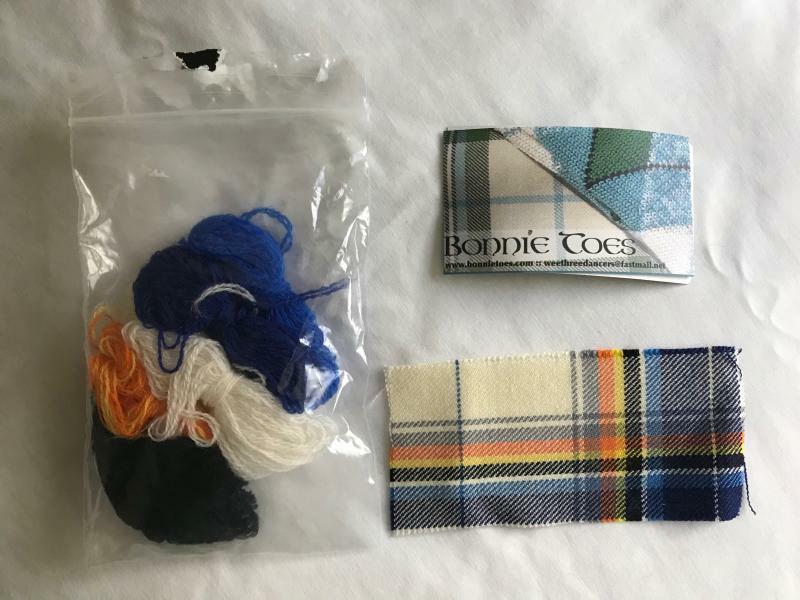 There's also a small fabric swatch of the Antarctic tartan. 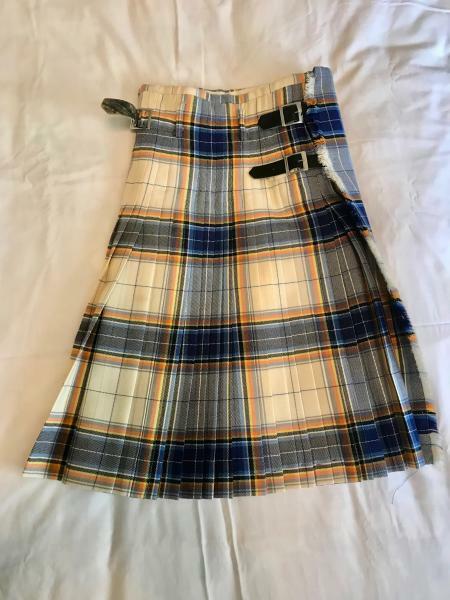 Hello, this is a gorgeous kilt set. Have you sold it yet? I'm looking for a new outfit for my daughter, who is 12. Is there any room in the kilt apron to let out as she grows? Also, are you willing to sell without the sporran? I do not have a male dancer in my house. Hello! I am so very sorry that I'm just seeing your message now. I thought I would receive an email notification when someone responded to a post. I'll be much quicker with responses now that I've figured out I need to check manually! Yes, I still have this set. The hem is 1.75" (that's the amount that could be let out). Let me know if you're still looking and interested.